If you do a lot of entertaining you might need a few of these Cheese Platter Ideas. 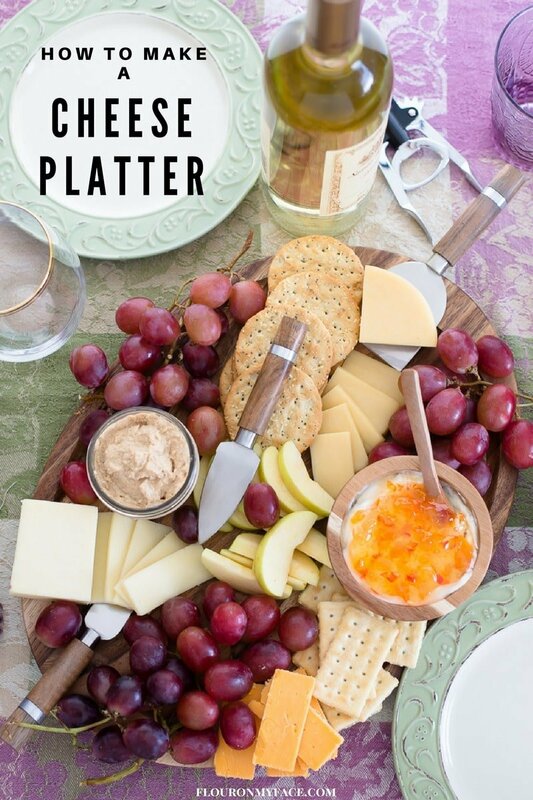 Cheese Platters are one of the easiest appetizer trays you can make. 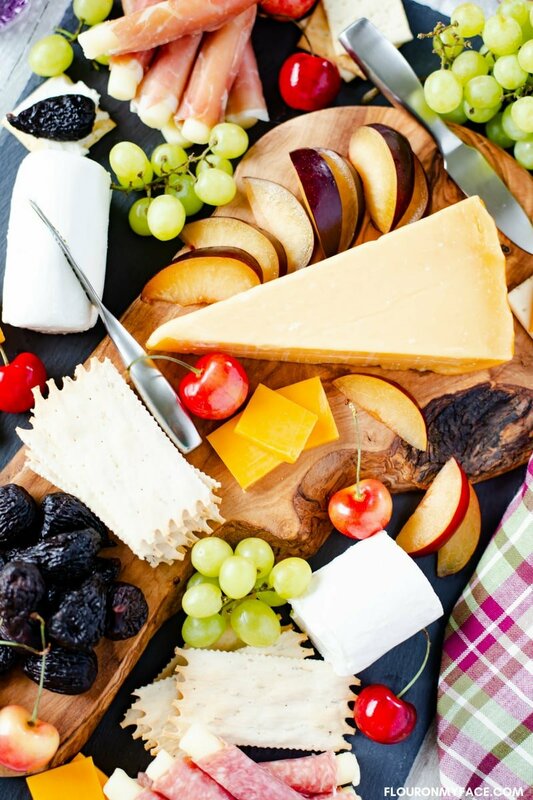 Cheese Platters are great to serve to your guests but a cheese platter is also easy enough to make that you can munch on your favorite meats, fruits, cheese, and crackers anytime. 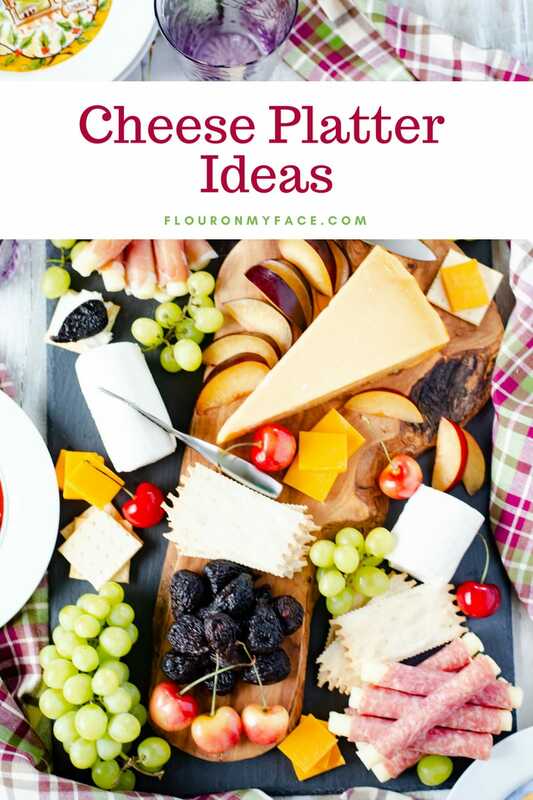 I love sharing my Cheese Platters ideas because cheese platters are one of the easiest appetizers to serve when you have guests. If you do a lot of entertaining you could come up a different cheese platter idea at every single holiday, family event or dinner party and never serve the same cheese platter twice. Even if you served a cheese platter for every single holiday of the year. Making a cheese platter is very easy to do. All you need is some cheese and crackers if you want to make a simple cheese and cracker platter. Or you could add some rolled up pieces of meat like thinly sliced pepperoni or prosciutto to make a Meat and Cheese Platter. 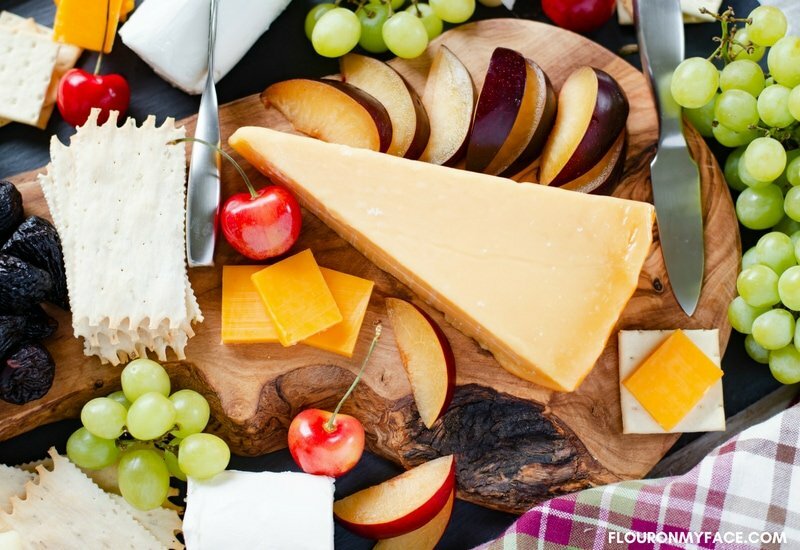 If you want to skip the meat you can make a Cheese and Fruit Cheese Platter by piling up your favorite fruits and favorite cheeses on a platter and calling it a day. Around here we can make a meal out of a simple cheese and cracker cheese platter on the weekends. I will slice some cheddar cheese, dill pickles and serve Ritz crackers. I like to smear a little homemade Dijon mustard on a cracker with a slice of cheese and a slice of pickle. When you’re trying to come up with Cheese Platter Ideas it’s up to you how fancy or how simple you want to make your cheese platter. 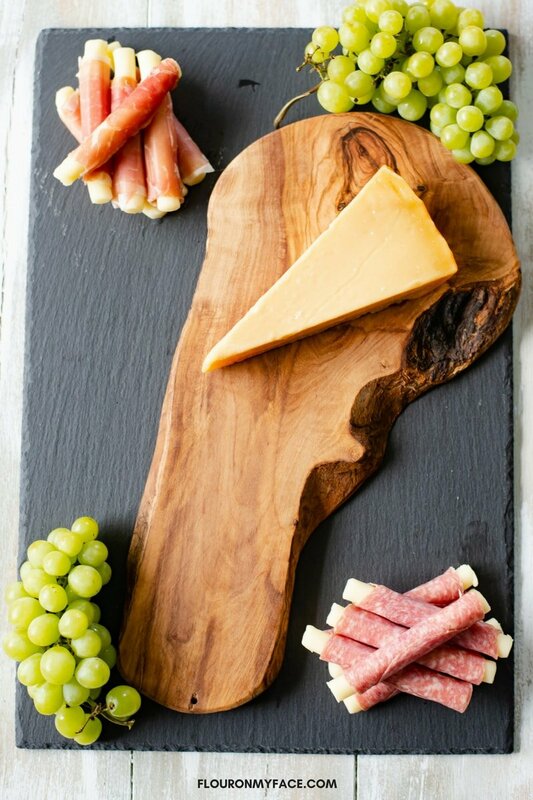 If you are entertaining or hosting an event you might like to make a really special cheese platter and serve a few different types of cheese, meats, and fruits. 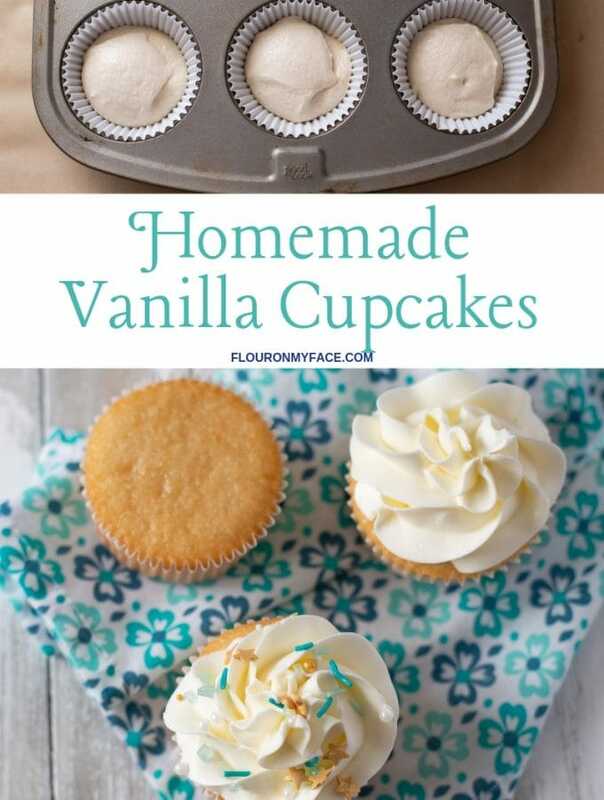 Disclosure: Some of the links in this post are affiliate links for Flour On My Face personalized product recommendations. 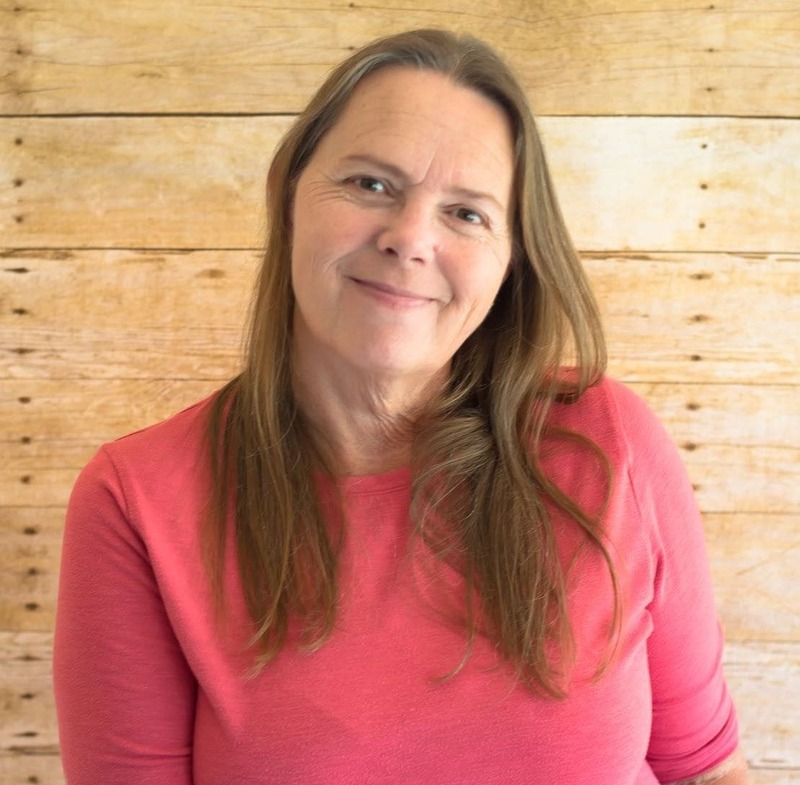 You can check out my Amazon Influencer page for more products I use and love. For this Summer Cheese Platter, I used fruits that are in season now like fresh red and black plums and fresh cherries. Grapes are always available and pair perfectly with any kind of cheese you are serving on a cheese platter or cheese board. I chose to use seedless green grapes on my summer cheese platter. Fresh figs were not available yet so I bought a bag of dried figs and used them instead. They tasted amazing on a cracker with Honey Goat Cheese. I used sharp cheddar cheese cut into small squares, a wedge of Gouda cheese I placed on a Rustic Wooden Cheeseboard I stacked on top of a Slate Stone Cheese Board as the focal point on my cheese platter. I chose to use Honey Goat Cheese and plain Goat Cheese for my soft cheeses on this Summer Cheese Platter. As I mentioned the honey Goat Cheese Tastes amazing with figs. You could also prepare a cheese platter with crackers, goat cheese, fresh or dried figs sliced in half and a pot of honey to drizzle over the fig. Meat and cheese platters are good too. You can pick up some Salami and Cheese Rolls that are premade and packaged in the deli area of your favorite grocery store. Or you can buy thinly sliced deli pepperoni, salami or prosciutto and your favorite cheese and make your own pepperoni and cheese rolls. These meat and cheese roll appetizers are available made with pepperoni or prosciutto. Simple Cracker and Cheese Platters are easy to make and can be served anytime. 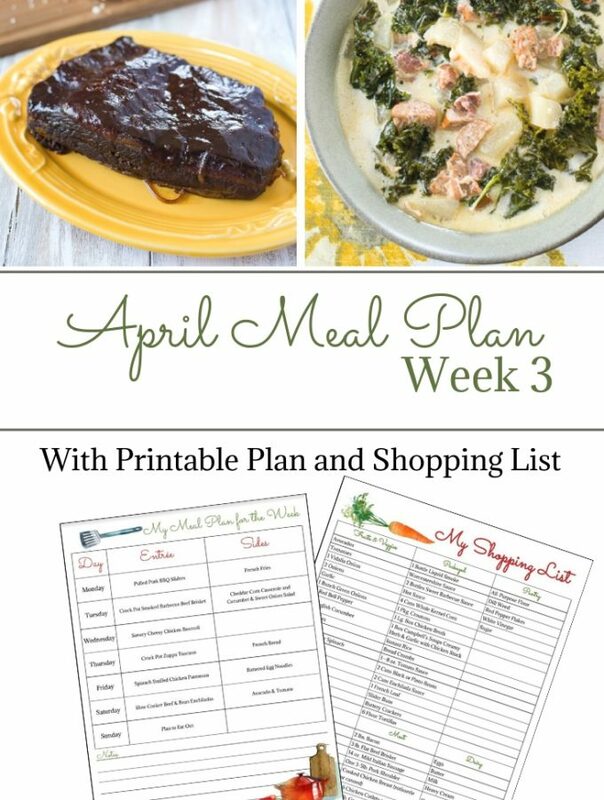 We love to snack on cheese and crackers on the weekends while we are vegging out in front of the television. I also seem to have a block of cheddar cheese in the refrigerator and crackers in the pantry at all times for when people drop by unexpectedly. A simple cheese and cracker platter is perfect any time. 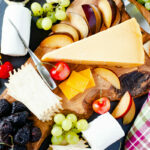 Make a simple cheese and fruit cheese platter. You can make a cheese and fruit platter using the types of fruits that are in season for summer, fall and winter. Pair the cheeses based on the type of fruit you use. Smoked Gouda cheese is one of my favorite cheeses to serve with fruit. It also pairs nicely with homemade Habanero Apricot Jelly. For Cheese Platter success you should use a combination of soft, semi-hard and hard cheeses on a cheese platter. If you are making a small cheese platter pick one or two of your favorite cheeses to serve. You could serve a semi or hard cheese along with a soft cheese. This is my current favorite cheese board for serving a cheese platter. I layer a rustic wooden cheese board on top of a slate cheese board. The wooden cheese board offers a little height. Decide the theme of your cheese platter before shopping. I decided I was going to make a summer cheese platter and planned to use fresh fruit that was in season. A winter themed cheese platter would use different fruits, like crisp apples and pears. Use cheeses that you enjoy eating. You could also arrange the cheese platter the night before and keep it refrigerated. 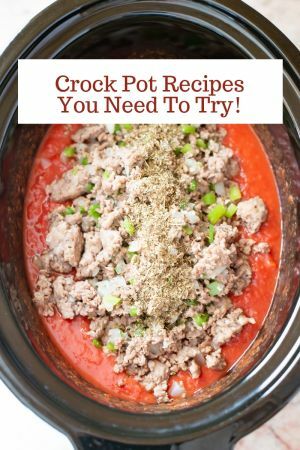 Just remove it from the refrigerator 30 minutes before serving. When serving soft cheese on a cheese platter think about where you will place it on the cheese platter before unwrapping it. Once you set the soft cheese on the platter it will be difficult to pick it up and move it. Slice fruit like plums into bite-size pieces that will fit on the crackers. It is a good idea to use a couple of different size crackers on a cheese platter. Cheese Marker Set: Label the cheeses on your cheese board so your guests know what type of cheese you have on your cheese platter. 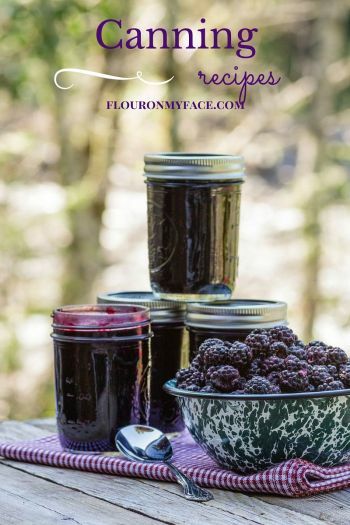 Sweet Cherry Jam Recipe: Sweet Cherry Jams goes well with many kinds of cheese. Savory Peach Rosemary Jam Recipe: First savory jam I have ever made it is amazing. Habanero Apricot Jam Recipe: This habanero Apricot Jam is now my favorite pepper jam. Begin preparing your cheese platter about an hour before planning to serve to allow the fruit and cheese to come to room temperature. Rinse all of the fresh fruit under cold running water. Drain and allow to dry on a paper towel. Arrange your two cheese platters, one on top of the other if using. Slice the sharp cheddar cheese into slices or squares depending on the size of crackers you are using. Unwrap the wedge of Gouda cheese and place it on the cheese platter making it the focal point of your cheese platter. Arrange the fresh fruit around the cheeses on the cheese platter. Arrange the meat and cheese rolls on the cheese platter. Place the finished cheese platter on a table or counter where it will be easy for your guests to reach all of the cheese platter ingredients. 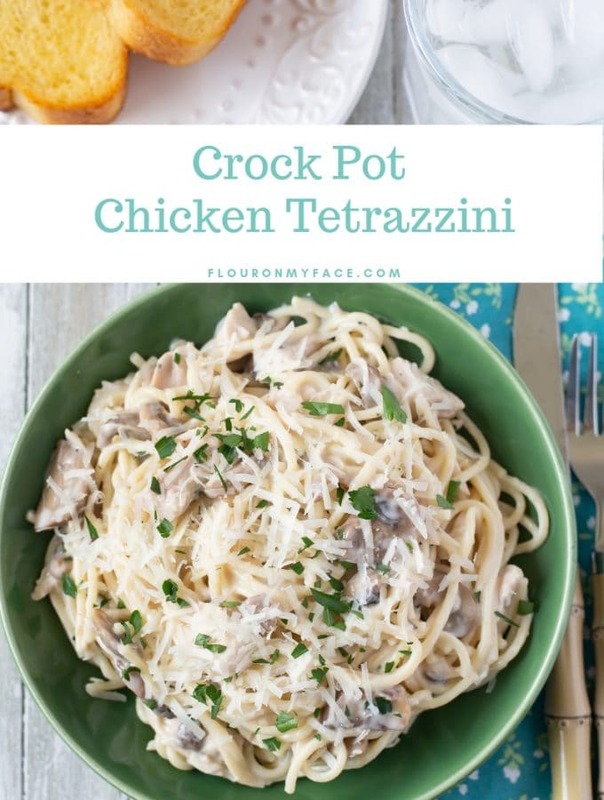 Serves 8 to 12 people depending on if you are serving other appetizers along with your cheese platter. A list of Cheese Platter Ideas for any occasion or season with recommended cheese types, fruit and meats to serve on a Cheese Platter or Cheese Board. 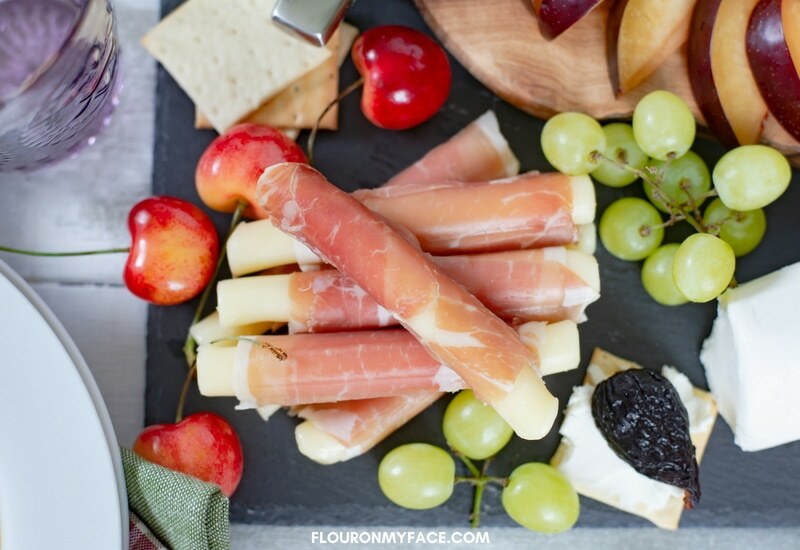 Check out my How To Make A Cheese Platter post for more ideas on how I like to pair my homemade jams, mustard on a Cheese Platter.